Despite a drop in crime rates for the 11th consecutive year, statistics released in November of 2014 by the FBI show that home burglaries continue to be one of the most common crimes against property in the United States.The preliminary 2012 Uniform Crime Report published by the FBI recently reported that nearly every U.S. region saw increases in property crime, burglary and robbery in 2012 compared to 2011. According to the most recently released Unified Crime Reporting data released by the FBI, burglaries continue to have the second highest arrest rate for property crimes in the US at a rate of 82.9 per 100,000 habitants, behind larceny theft and ahead of motor vehicle theft and arson. Thanks to technology and innovative security measures, homeowners don’t have to become a part of the burglary statistic. The Electronic Security Association (ESA) offers homeowners insight into the mind of a burglar, along with tips for reducing the risk of a burglary.Most home burglaries can be classified as random opportunistic acts – not planned events. Homeowners can protect against burglary by looking at the weaknesses of their home from a burglar’s point of view. Here are a few questions a burglar might ask when deciding on a house to target. The first thing many burglars do is check to see if anyone is home. Sometimes the burglar will simply knock on the front door. If someone answers, he or she may make up an excuse for the disturbance, such as being lost and needing directions. If the knock at the door goes unanswered, the burglar may turn the door knob to test for an unlocked or easily accessible door. Traditional locks aren’t always the answer to home protection. On average, burglars will spend no more than 60 seconds on defeating locks to gain entry to a home. To better protect their homes, homeowners should consider upgrading to deadbolts and reinforcing the frame of their front door to make a break-in more strenuous for the burglar. Is the home equipped with an alarm system? A 2009 study by the Rutgers School of Criminal Justice found that an installed security system makes a dwelling less attractive to would?be and active burglars and protects the home without displacing burglaries to nearby homes. Additionally, the Cromwell-Olson-Avary study, conducted to better understand offenders’ perception of the risks and rewards involved in criminal activity, found that nearly all convicted burglars (90 percent) admitted that they would avoid homes that are equipped with security systems. The study also revealed that if a potential burglar sees a yard sign or window decal from a credible security company outside of a home, around 75 percent would think twice about going through with an attack. But signs and decals aren’t enough to deter a burglar; security systems are the best deterrent against a burglary. A 2013 study funded by the Alarm Industry Research and Educational Foundation (AIREF) and conducted by researchers at the University of North Carolina found that 60 percent of convicted burglars said they would avoid a potential target home if they knew an alarm system was present.Even during impulsive, unplanned burglaries, more than half of the intruders said they would discontinue the burglary if they discovered an alarm. Another 31 percent said they would consider discontinuing the burglary, while only 13 percent said they would continue regardless. Although they might not have stolen anything when they entered the property, some laws, depending on the jurisdiction, states that simple trespassing through an open door could be classed as burglary, which means if they are caught could still face jail time for burglary and will need to seek out someone like this philadelphia criminal lawyer to take on their case. To aid them in their security needs, ESA urges homeowners to enlist a security company that is a member of ESA. ESA member companies are experienced professionals and must adhere to a strict Code of Ethics and Standards of Conduct. To ensure maximum protection, an ESA member company will recommend and install a system that accommodates both the features of the home and the homeowner’s lifestyle. Homeowners can find an ESA member company in their area here. 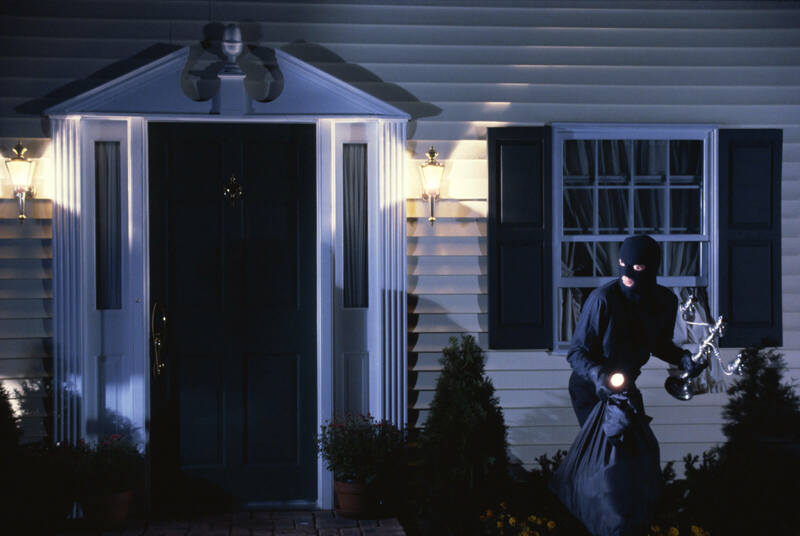 Burglars tend to target homes that they can get away from easily without detection. For a burglar, an ideal home would be located in a dark, lifeless neighborhood with good hiding places and escape paths, such as overgrown bushes or trees in the yard. Hiding areas can be eliminated by keeping the landscaping neatly trimmed and using an enhanced security system complete with timed or remotely-controlled lights and surveillance. These sophisticated systems give homeowners the ability to set timers and control various aspects of their homes via a smartphone, tablet or other web-enabled device. This technology, also known as smart home technology, is in high-demand among homeowners because of its convenient features. With smart home technology, homeowners can control indoor or outdoor lights, lock and unlock doors, arm their security system, and monitor activity within the home through surveillance cameras all via the web. Enhanced home control systems blend elements of security and accessibility to provide homeowners with maximum protection against burglary. .By thinking like a burglar and using enhanced technology to reinforce security at home, homeowners can protect their property and keep their family safe from crime.